[post_content] => Leeds Homeopaths are offering therapeutic support to refugees and asylum seekers at a charity based in the city. The fortnightly, two-hour clinics at Solace – an organisation providing therapy and advocacy to survivors of persecution and exile – are being funded through a Society of Homeopaths grant. The Yorkshire charity will refer up to eight clients per session, many of whom are traumatised by their experiences but have little or no chance of being able to receive medical help or pay for complementary therapies. The clinic is free for those seeking asylum while people receiving benefits will pay £3 for an initial consultation and £1 for follow-up appointments. MYMOP2 (measure yourself medical outcome profile) questionnaires will be used at each session to monitor the effectiveness of the service. “We are delighted to be able to make homeopathy accessible to refugees and asylum seekers using our services, particularly as it has a strong track record with anxiety, sleep and pain problems which many of our clients experience,” says Anne Burghgraef, clinical director at Solace. 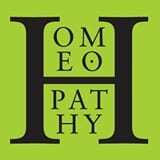 Leeds Homeopaths are offering therapeutic support to refugees and asylum seekers at a charity based in the city.